Get Out. Make New Friends. If you’re looking for an opportunity to get out of the house, make new friends and participate in exciting activities, then look no further. New Friends of Carolina (NFC) is what you’ve been looking for. 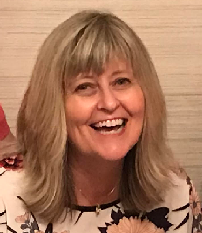 Founded in 1989 as a not- for- profit social club for women, NFC welcomes both new comers to the Carolinas as well as those who have lived here for years. This musical finds the Roman slave Pseudolus scheming his way to freedom by playing matchmaker for his master's son, Hero, who is smitten with the blonde and beautiful Philia. However, things don't go at all according to play. 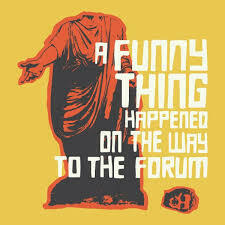 The complications that ensue involve blackmail, funny disguises and long lost children, while Pseudolus desperately tries to keep up with his end of the bargain. Food ! Libations! Hat contests! 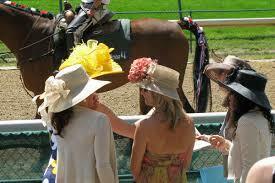 If April Showers bring May Flowers, then April Hat Making brings the May Kentucky Derby. If you haven’t already heard, NFC has a new club called Crafty Creations. Crafty Creations has already had a day of card making and a day of flower arranging. This month Crafty Creations participants will be making their own hats for the May Kentucky Derby Social to be held on Sat., May 4th at the Olde Sycamore Golf Plantation. Have you always wanted to wear a “Fascinator” like the royals do or wear a wide-brimmed hat with your own “special flair” like the ladies at the horse race do? Well now is your chance! Join the group on April 16th at the Hobby Lobby in Matthews to create your own “fashion statement” for the Social. I hear that prizes will be awarded for these creations! The warmer weather also brings more outdoor activities. For those members new to the area, you won’t want to miss this one, Ladies Night Out is taking a narrated bus tour of Uptown Charlotte. Learn about the history of Charlotte and discover some great places to visit or take your visitors to. Also, BHG combined with Lunch Bunch is taking a trip to Belmont. If you have never been, Belmont is a quaint little college town with boutique shops and huge antique mall. Don’t forget at the end of the month is the April Membership Luncheon to be held at Maggiano’s in South Park. At this luncheon the officers for next year’s Board are voted in. Local author Kimmery Martin will be the guest speaker. Lots to see and do this month! So, grab a friend, sign up online and join in the fun!